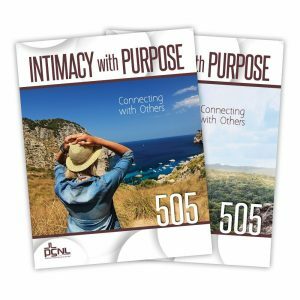 Adult & Teen Challenge USA is proud to the release of the next study in the Intimacy with Purpose series: PSNL 505 – Connecting with Others! This new study provides a roadmap to creating healthy intimacy in our relationships with each other. 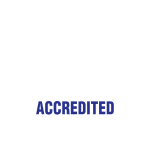 Readers are challenged to build upon a foundation of intimacy with God to create healthy community and connections. As we learn to make our relationship with God a priority, other people become more important. The core Scripture for this study is John 13:34 which says, “As I have loved you, so you MUST love one another” (NIV). Intimacy with God isn’t a solitary (by yourself) deal. God designed, created, and commands us to spread His love to those around us—LOVE ONE ANOTHER! But how does this look and how do we get there? Why is intimacy with others so important? Why is healthy intimacy so difficult? What if I get hurt…again? How can I grow closer to other people? How do I guard and maintain healthy intimacy with others? This study also addresses how these can be difficult questions because many feel angry, frustrated, or hopeless because of wounds inflicted by others in the past. Intimacy with people is messy. Therefore, we must start from a place of intimacy with God. God’s love changes how we view and feel about those around us. As we reconcile to God, we draw others closer to Him. His love is contagious! These relationships with others then become structural pieces that strengthen and support us, building the Body of Christ. God designed us to live in community. In fact, He said that it was “not good for man to be alone” (Genesis 2:18). Why? Because our relationships with others refine and help us carry out His will for our lives. We need each other. We will also go directly to God’s Word in this study to discover the keys to building and maintaining safe/secure relationships with family, friends, and other believers. A chapter on healthy dating principles is also included. This study is available in versions for both men and women. It is available for purchase today on our website. You can learn more about the entire Intimacy with Purpose series by clicking here.